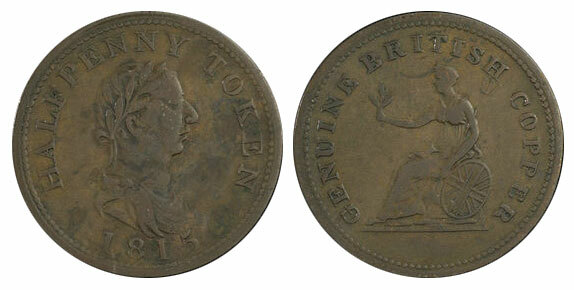 There are several bust varieties for this token. 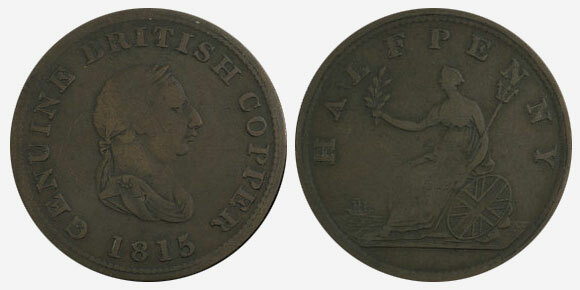 Text : Half Penny Token 1815. Genuine British Copper. The edge of this variety is reeded.